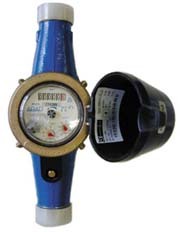 Water Management Australia supplies a wide range of water meters with electrical output. These meters combine the high reliability of the hermetically sealed, magnetically driven register with a wide variety of electric output options. In combination with a remote reading system, or computerized data acquisition system, it is possible to collect & process water usage data for several items of plant, such as cooling towers, water loops & boilers.